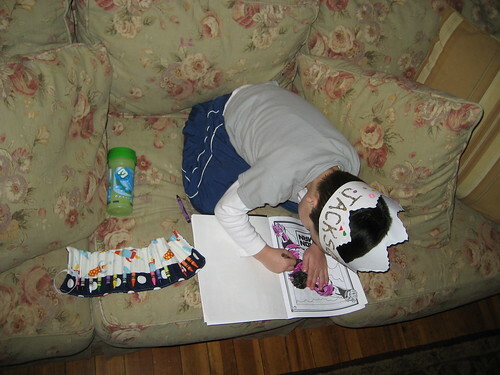 Crayon roll in use…, originally uploaded by nikkifilo. Isn’t it so nice to see what you’ve made in action? So happy that Jack likes his crayon roll! We took it with us on our trip to Florida this week, and it came in so handy 🙂 Sitting on the balcony or on the airplane…coloring was easy without rollaway crayons! And it was so neat and tidy…I love these!